PADI Advanced Open Water- The what, why and how? As a follow on from our PADI Open Water blog earlier this month, I thought it would be appropriate PADI Advanced Open Water Diver course. What is the PADI Advanced Open Water Course? Essentially, the Advanced course is a continuation of a diver's entry level training. While you have learned the basics in the Open Water Course, the Advanced is designed to build on your experience and increase your confidence and competence in the water. 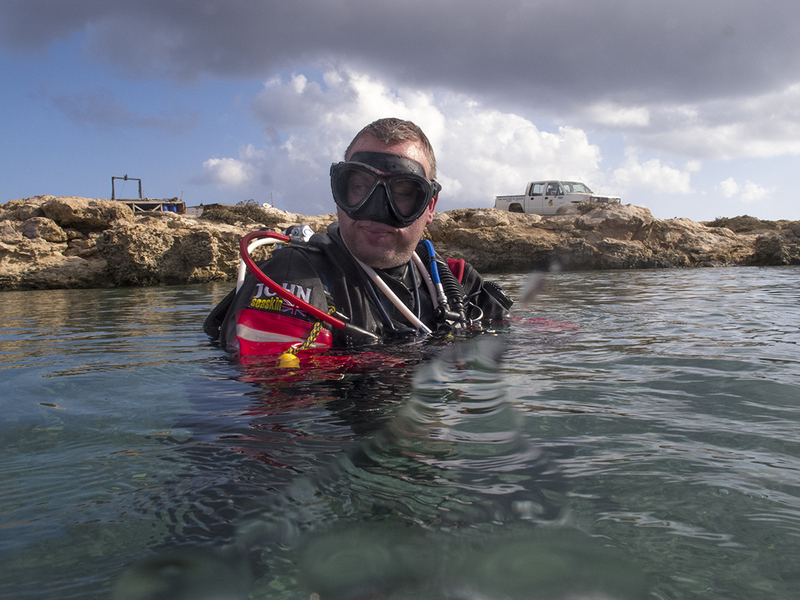 This course works by building on core issues such as buoyancy and navigation and allowing you to increase your diving certification depth to 30m under a supervised, controlled setting. You have the opportunity to try different areas of Scuba Diving to see what aspects interest you and if you would like to advance in those areas by making 5 Adventure Dives, which correlate with the 1st dive of the associated Specialty training course. The core, mandatory dives are the Deep Dive (taking you to a maximum of 30m) and the Underwater Navigation dive. The other 3 you can choose for yourself and there are now, lots more available to choose from. Although the structure of the course is still the same, everything has finally come into the modern age with new manuals, online theory available and updated content. about F-stops and shutter speeds, much of that information is just not relevant to the modern digital point and shoot cameras because the camera itself takes care of that. The new Photography Adventure dive is called Digital Underwater Imaging and is, not only based on photography but underwater video, since most modern cameras offer both. Other Adventure dives may also be available depending on the qualifications of your instructor including; Enriched Air Diver, Self Reliant Diver and Sidemount to name just a few. I think the biggest difference with the revised course though is the focus on training divers to become thinking divers. We have already seen this improvement in the Open Water Training and there should now be a focus on expanding and improving this through the Advanced Open Water Course too. Divers will be responsible for pre-dive planning including assessing dive site conditions, buddy and own abilities, turn times and/or pressures and gas management. As with all diver training, a big part of the standard of training comes with your instructor and the dive centre that you choose to train with but having these standards in place from the agency means more divers will learn to dive rather that just follow and I for one, would always prefer to dive with thinking divers!!! Technical Diving vs Scuba Diving- What is the difference? I have had a few emails over the past couple weeks asking me what is the difference between a recreational diver and a technical diver, so for those of you unsure, here is some clarification as to how we differentiate between the two. BSAC or CMAS. 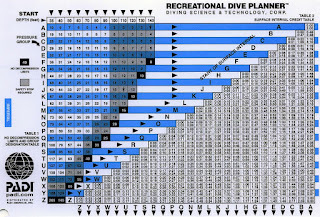 Their depth limit for diving is usually 40m and they usually dive with just a single cylinder and complete their dives within the no-stop limits offered by recreational dive planners or dive computers. 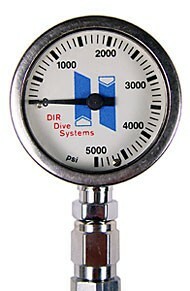 If necessary, the dive can be ended at any point with a direct ascent to the surface without an excessive risk of DCI. The vast bulk of divers fall into this category. Technical Divers however, use more complex diving equipment. 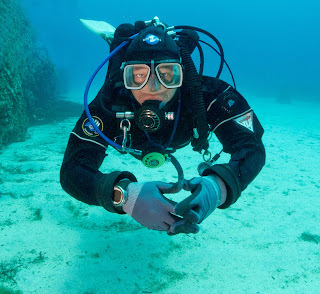 They may dive a twinset or Sidemount configuration and they are trained to use it properly. Tech divers have the training, equipment and skills to dive beyond 40 metres and often make decompression dives, which means they cannot make a direct ascent to the surface. If you exceed your no-decompression, no-stop times, the decompression stop is mandatory and if you miss it, you will put yourself at an unacceptable risk of DCI. However, just diving beyond 40m and going beyond the no-stop limits to make decopression dives does not make you a tech diver. Technical divers learn how to use more sophisticated dive gear so, in the event of an emergency when a direct ascent to the surface is not possible due to overhead environments or decompression obligations, they can try to solve the problem underwater to allow them to ascend safely. For example, a second stage free flows underwater and you are losing gas. 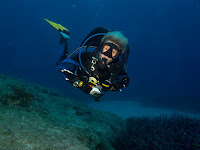 In recreational gear, you would swap to your dive buddy's alternate air source and make a direct ascent but tech divers, whether on sidemount or twins, can shut the offending cylinder down and breathe from the other one while they complete decompression obligations or reach a safe depth to breathe a richer, decompression mix. Mixed gases are another mark of a technical diver. Nitrox is pretty standard as a breathing gas these days and in and of itself, does not distinguish a tech divers. Most recreational agencies only qualify divers to use up to 40% nitrox. Tech divers can use up to 100% Oxygen to allow them to optimise off-gassing of Nitrogen (or indeed Helium). If diving to 45m, they could breathe a 25% nitrox mix on the bottom (or a 25/20 trimix), switching to 50% at 20m and then to 100% at 6m. This is known as Accelerated Decompression. CMAS train their divers to make decompression dives and to dive to 50m using air. Many recreational divers now carry additional cylinders in the form of a pony cylinder or a stage to allow them additional safety options. 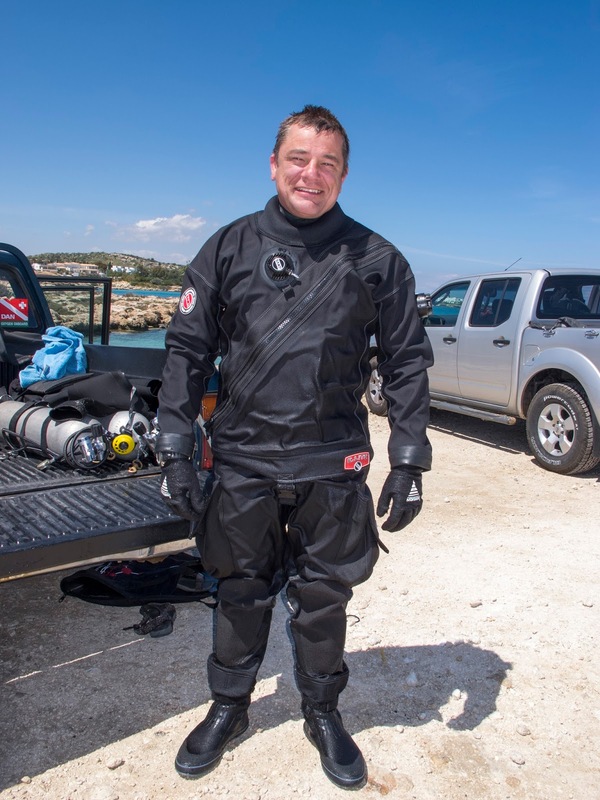 Sidemount diving and Twinset diving is becoming more mainstream in the recreational market for those wishing to dive with extra gas and nitrox is readily available practically anywhere in the world. ...now where did I put the keys to my hovercraft? PADI Open Water Course- Reviewing the new stuff! 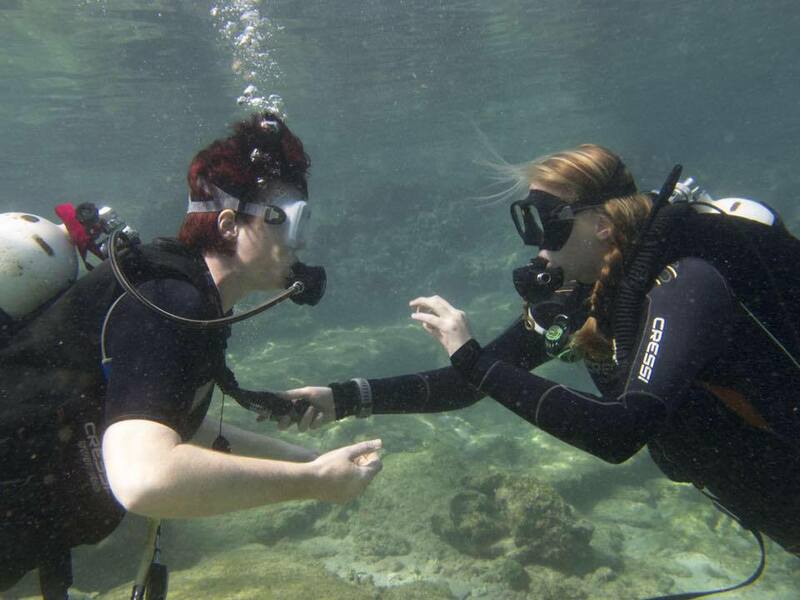 We have been teaching the revised PADI Open Water Course at Scuba Tech for approximately 2 years now, which I think is plenty of time to get to grips with the changes and how to adapt it to different types of student, which means it is a great time to do a review of the changes. 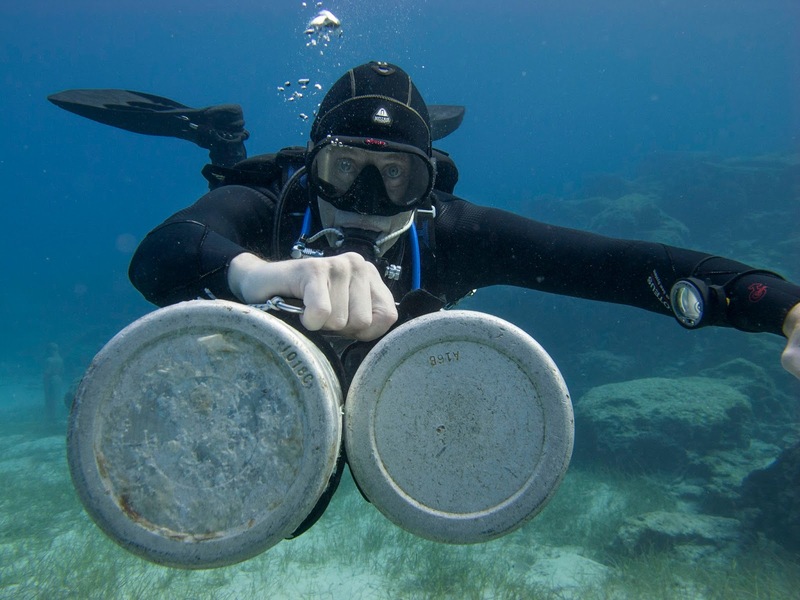 What changed in the PADI Open Water Course? While the older course saw most divers kneeling on the bottom of the pool for the majority of the skill exercises, the new course aims to have divers completing the skills mid-water, which, let's face it, is where we usually have to do them when we are actually scuba diving. So, although we still begin teaching the skills with a solid base below us, throughout the training, we look to bring divers up so they can demonstrate mastery while hovering off the bottom. 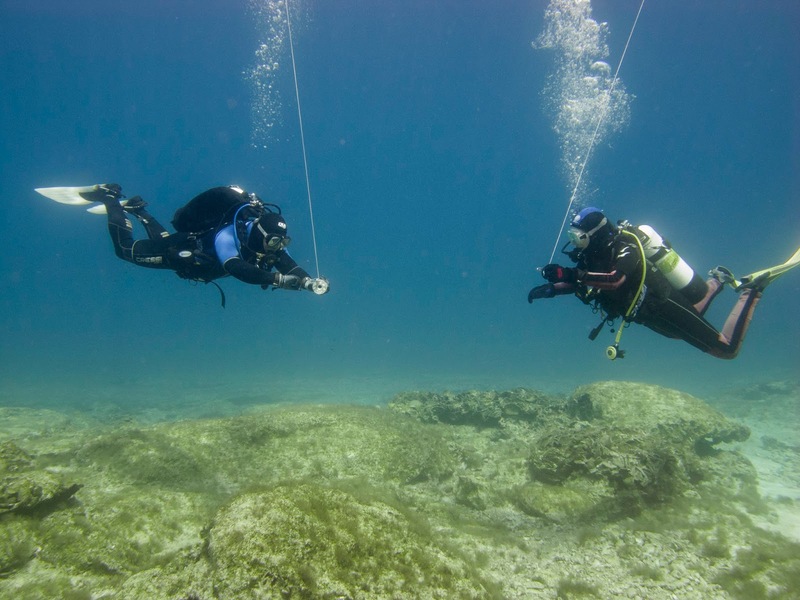 More attention is paid to making divers responsible for their own dives. Checking air supply regularly and being aware of how much air you have remaining at any given time and how much air you are using throughout the dives alongside all the pre-dive planning are all aspects of diving that were not really compulsory for the old course. 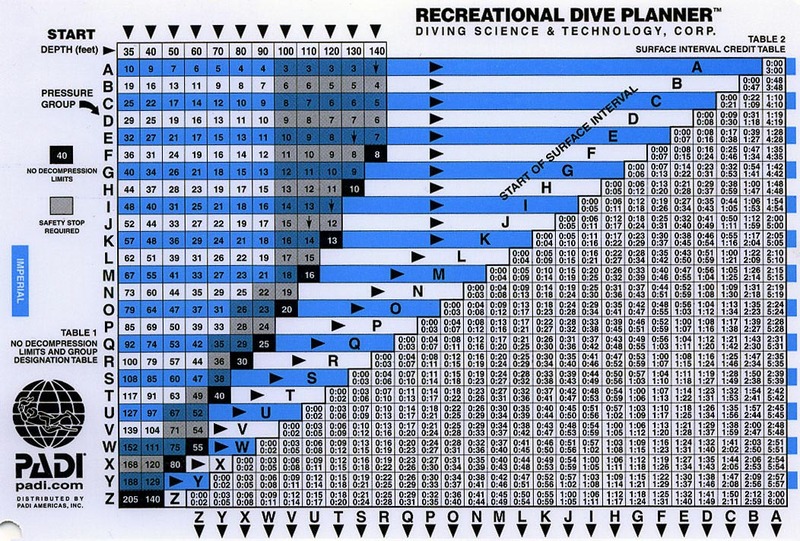 This meant divers out in the real world with no real idea of how to plan their dives besides using the RDP. The idea of training Open Water Divers using computers is a nice addition, as we have also seen plenty of divers out here that have bought their own computers and yet have no idea how to use them. However, I also like to teach them in conjunction with the Dive Tables because I feel that the tables give the students a better picture of what is happening with no-decompression times and pressure groups. I think the whole course has shifted to try and create thinking divers rather than just a diver that can follow a guide. However, I still feel that Open Water Divers would do well to dive with other more qualified divers for the first few dives after certification until they have a little more experience and are a bit more comfortable in the water. I have been diving now for five years. When I was 14, I did a Discover Scuba Dive in my school pool. I didn’t see much apart from the odd dead bug and grimy tiles on the floor but I was hooked! As soon as I took my first breaths underwater, I knew right there and then I wanted to become a diver. The divemasters and instructors were warm, professional, enthusiastic and the perfect role models. Within the year I achieved my junior open water and the following year my advanced open water. I joined my local BSAC Club, Roundhill Sub Aqua, which was when I really started to build up my dives and experience. It was at RSAC where I met Pete and Shelley of Scuba Tech, which gave me the opportunity to do my rescue diver, emergency first response and, of course, my Divemaster training over in sunny Cyprus. Divemaster was the best course I have ever done and the experience was life changing. This cemented the idea that diving was the perfect job for me. At 18, I withdrew my place from university and made the decision to move to Cyprus, so that I could work at Scuba Tech as a DM. People often tell me “I’m committing to the wrong job, I’ll never make any decent money out of it and twenty years down the line I’ll regret not getting a degree.” I guess it isn’t the normal profession for a young person to choose straight after leaving school and I understand the point of view,, as nowadays university is the next step for the majority. But I wanted to do something different. I never wanted an office job or to be stuck in a job that I would end up hating. Diving started off as a hobby, but is now my career, it makes me very happy and I couldn’t imagine doing anything else at this point in time. I became a Divemaster so that I could share my experiences and love of diving directly with other people, my friends and my family. It is my ticket to see the world and travel to places people can only dream of. I get to interact and meet different people from all walks of life, see amazing marine creatures and to ultimately introduce people to the underwater world, so that they too can fall in love with it. I won’t lie though, some days can be difficult. It is challenging and the work can both be physically and mentally draining. For example you can get a difficult customer or perhaps you’re overtired due to long and irregular hours and sometimes certain situations can be very stressful. However, it may sound cliché, but I wouldn’t change any of it for the world, as it has made me into the diver I am today. Last year I took my mum for a try dive and it was one of my most rewarding dives/experiences. She gained an insight into what I do and why I love it so much. Seeing her face coming up after the dive was priceless! She was so happy and her grin was enormous. Experiences like that definitely make it all worthwhile. It is always great to book a holiday away somewhere hot and exotic but when you get there it can be difficult to find new ways to spend your time. For some, it is easy enough to while away the holiday relaxing on a sun lounger around a pool or at the beach but if, like us, you prefer to get out and about the resort, here are a few tips of fun things to do and see around Protaras and Agia Napa. Well, I am a diving instructor, so this was bound to be top of my list, wasn't it?! Cyprus' East coast is full of great dive sites that you can enjoy. From easy dive sites perfect for beginners to more adventurous caves, deeper shore sites and wrecks that can only be reached from the dive boat, there is something for every level of diver. To book your scuba diving adventure in Cyprus, get in touch with us via the website, Scuba Tech Divers, Cyprus. When the sun is out and the weather is hot, there is nothing like living life on the Ocean Wave. 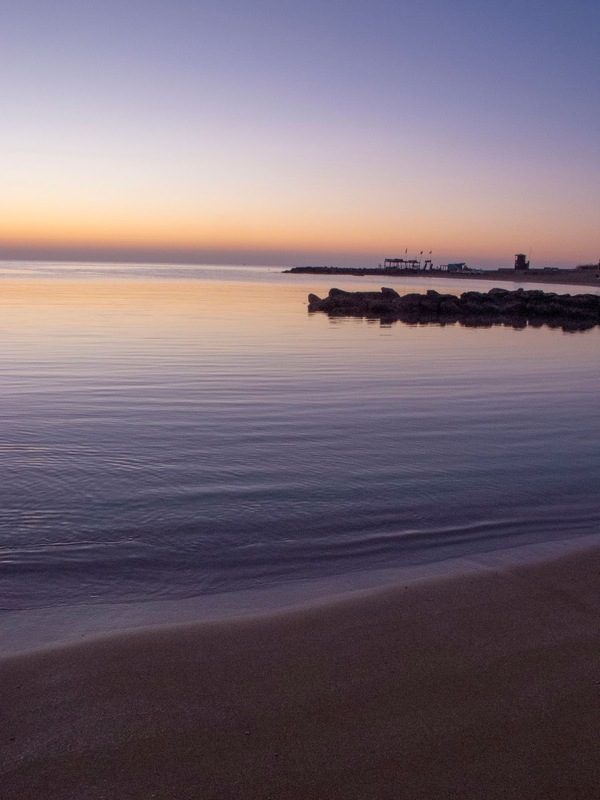 See the East coast of Cyprus from a different angle on a half day adventure that usually sees you visit the border between Northern and Southern Cyprus, where you can see the ghost town of Famagusta. After that, most trips will take you around the headland of Cape Greko with plenty of stops for swimming and snorkelling. There are numerous places that do bike rentals in Protaras and Agia Napa and you can usually ask at your hotel reception for information about this. The East Coast of Cyprus is very biker friendly with a bike path running through the centre of Protaras, up through Paralimni (or alongside the motorway if you prefer), around Cape Greko so you can take in the viewpoints along the way and into Agia Napa. Feel the breeze and see the sights but be careful not to burn with too much sun exposure... it is a hot country! The beaches around Protaras and Agia Napa are some of the best in Cyprus but if you want something a bit different, pop down to Nissi Beach in Agia Napa. Hear the latest "tunes" from the beach bars and, on certain days, you can even find yourself at a foam party on the beach! Enjoy an action packed day at Waterworld waterpark. From adventurous rides like Icarus to the lazy river, the water park has rides to cater to all ages and all level of adrenaline junkies. There are loads of great restaurants and tavernas in the Protaras and Agia Napa areas but we can particularly recommend 3 to you. Each for a different occasion. Firstly, there is the Well Inn in Protaras. Run by Andreas and his wife Kathy, this restaurant offers superb food and excellent service. Anoula's Chicken is a particular favourite and teemed with his home made sauces and condiments, this will be a meal you are unlikely to forget. Secondly, in Protaras, there is Mojitos Bar and Grill. Not particularly Cypriot but great food with something for everyone. A great pint and the best chips on the Island! Finally, for something a little different, Los Bandidos Mexican restaurant in Agia Napa. Great value for money and you have to try the Strawberry Margarita while wearing a Bandido Sombrero. After eating your nice meal, you will probably feel the need to walk some of it off and Protaras has done a lot of work over the recent years to create a lovely promenade that runs the length of the resort along the coastline. En route from one end of protaras to the other, you will find a number of ice cream vans for dessert and small bars for a refresher. The mornings are beautiful here in Cyprus with the sun rising in the summer at a very respectable 5.30am. It can soon get hot though, which is why, morning swimming is a great way to get your fitness in. The air is in the high 20s, low 30s in the mornings in the summer and the water is lovely and warm. Currently (July) it is 28 degrees near the shore. A perfect wake up to any morning! Also known as the church on the hill, Profitis Elias can be seen overlooking the resort of Protaras from its lofty position at the top of the hill. Best saved for early morning or evenings for the walk up the stairs but the beauty of the Orthodox churches cannot be denied. Cars can be rented at pretty reasonable rates here in Cyprus and it is well worth having a car for around 3 days to be able to go off and see the rest of the Island. Aphrodites's rock and the ancient sites of Paphos along with the scenery and wineries in the Troodos Mountains are all unmissable attractions that will make your holiday in Cyprus epic! Dive Professionals Zero to Hero- Not for me!!! This is my first season working as a Divemaster and I absolutely love my job. My role involves assisting on courses, which vary between recreational and technical diving. I can lead Discover scuba dives and love to see the amazement on people’s faces after they have breathed underwater for the first time. I guide certified divers around our local dive sites and handle the logistics, for example filling tanks, washing and sorting kit as well as the general tidying up of the dive centre. My next step professionally would be to become an instructor, and many people have asked me if I plan to take the course this year. However, this is an area I feel particularly strongly about not rushing into. Many candidates go straight into their instructor training after completing their Divemaster certification with not many dives under their belt. Having completed my 300th dive a few weeks ago, I have more than surpassed the required number of dives to become an open water Scuba Instructor, which demands 60 logged dives. However, I still feel I lack the experience to move up the rankings just yet. I have always told myself I would wait until I had logged at least 500 dives before I even contemplated becoming an instructor. The reasoning behind this, is that by working as a divemaster for a few seasons, it will allow me to build up my dives, level of experience, confidence and competence in the water. This is vital when the lives of students/customers are in my hands. Just because you carry professional status as a divemaster or an instructor, it does not carry any prestige into the level of diver that you are and your ability in the water. 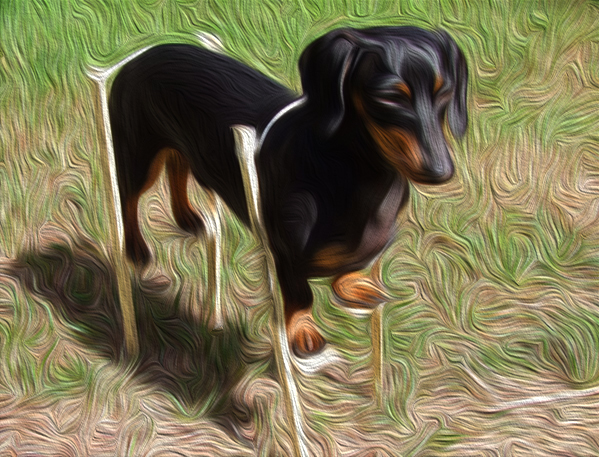 Furthermore, I believe that not rushing into anything too quickly will give me a wider knowledge base to begin teaching with in the future, as I can reflect on my experiences, which will hopefully come to my advantage when sitting my instructor exams. By working alongside two fantastic instructors, I’m constantly learning new things every day, It isn’t always dive related, but valuable life skills as well, such as finding out who you are as a person and how to interact with different groups of people. It’s also things you can’t necessarily be taught by passing an exam, such as how to read and react to a particular situation as every customer is different. Situations such as a diver panicking underwater or if a student is struggling with a certain skill. I am in this for the long run as diving is now my career. The sea will always be there, so why rush into it when I can take my time, enjoy it and grow as a professional along the way. The Scuba Tech Girls are at it again. Join Shelley and Dawn, as they hit the water again. This time they head to Cyclops Dive Site in Protaras to see the fishlife and, in particular, the lionfish that are accumulating in the area. 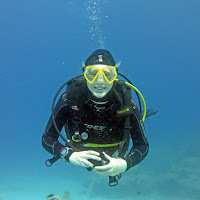 Scuba Diving is something that, if you are reading this blog, I have to assume you are qualified to do or, at least, are interested in learning someday. From our first day of training, there are a number of things that we are told we must do if we want to stay safe while we are in the water doing what we love. Hopefully, we take this all in and we become great scuba divers but there are certain mistakes that are easy to make when we are Rookie Divers that can also affect those of us with lots of experience from doing this for years. So, here are just 5 Rookie Errors that are not only made by beginners in Scuba. As a new diver, there is so much to think about while you get your buoyancy sorted, used to the regulator in your mouth and the mask on your face, finning correctly etc, that it can often be, just the gentle reminder of your instructor, Dive Guide or buddy asking what air you have left that causes you to check that little life-safer, the SPG (Submersible Pressure Gauge). The SPG is very very important because, like the fuel gauge in your car, it lets you know how much longer you can keep swimming underwater without running out of air. Ok, so Newbies have an excuse, so what about the more experienced divers. It can get to the point, especially if you are diving the same sites regularly that you have an idea of how much air you are using at any given point. In fact, if someone asked me my air at any given point on a dive, I could probably tell them to within 10 bar based on the dive time and dive profile. I wouldn't need to check the gauge... but I do!! I could have a leak somewhere in my equipment that is causing me to lose air faster than I think I am using it! Maybe, I am feeling a little tired or the under the weather and my consumption has gone up. Don't mock, it can be a considerable difference, especially if you pair it with a current or a buddy that you are trying to assist. Bottom line is, you have the gauge for a reason. Don't guess your air, you should know what you have at all times to ensure you can ascend safely from every dive and don't get caught short. As a new diver, you are taught to make buddy checks before every dive you do. There are usually 3-5 steps depending on which agency you learn to dive with and you learn them by doing the checks over and over. Then, the training finishes and you start to dive and the guide no longer makes you do the checks while watching over you and your buddy just doesn't seem interested. For the experienced Divers, I get it! You have done this enough and can check your own gear before you get in the water. You know how your own equipment works and those rental ones are always the same controls! I know I switched my air on before I got into my rig and I am ready to go, if you aren't? Tough!!! Buddy Checks are a great way to make sure you know exactly where everything is on your system and your buddy does too. In the event of an emergency, this could be the difference between life and death. Alternate Air Sources and Weight Releases can vary quite drastically from one rig to another and if the stuff really hits the fan, do you want something so basic like not finding the weight release to be the reason an incident becomes an accident? If nothing else, buddy checks have often helped to catch those times when cylinder valves haven't been opened, opened fully or re-closed by a well-meaning "checker" who didn't know which way to turn the valve. This one gets me, as I have heard Dive Professionals say to their students that weights should only be dropped as a last resort since they are so expensive. This is certainly not a mantra that divers should die by. If there is any kind of problem and you cannot get yourself buoyant, release the weights. If your diving buddy is having problems and you need to help get them buoyant, drop the weights. 6 kilos of lead (average diver) here in Cyprus costs around €30. You cannot be replaced so easily! So, if you need to drop the weights, even if you just aren't sure, let them go. Better safe than sorry! I see this from all level of divers at all points in diving. Completing skill circuits with beginners and Dive Masters alike, rushing through a skill often means you miss a step and mistakes happen. Take a bit of time, it gives you the opportunity to think through what is coming next and likelihood is, you will nail it sooner. The other way to ruin your diving by rushing is when preparing for the dive. I myself, have spent so much time rushing around helping other divers that I have driven all the way to Limassol to dive the wrecks and then realised I have left all my equipment here in Protaras. Thankfully, I was able to rent kit, otherwise that could have been very embarrassing and a total wash out for my divers. Moral of the story is, when getting ready for a dive, no matter what level you are at, you need to take a bit of time (sometimes just 10 minutes is enough, sometimes it is just better to get as much as possible organised the night before) and concentrate on you. 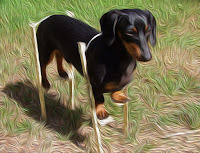 When you are certain that you are prepared and ready for the dive to come, you can help others and be more productive. Many Diving incidents are caused, not by equipment malfunction or bad planning but by creating stress underwater by doing too much all at once. When we start teaching Technical Diving, one of the main points of the Dive Plan is to set an Objective or a Mission. This is so each member of the team knows what the point of this particular dive is. To do everything you want to achieve may take several dives but you have the time on each dive to do this properly and safely. For beginners and experienced divers alike, one of the biggest causes of stress we see comes from diving with things like underwater Cameras. Even something as minimal as a GoPro can be too much for divers that aren't used to using them and may be diving with new kit in new environments that could also be challenging for them. The best tip we can offer anyone who is Scuba Diving is the KISS principle. If you are making changes to your rig, make them gradually or, if you have new equipment or have gone for the complete overhaul of your kit, start off shallow at a dive site with gentle conditions to minimise stress and task loading and panic. Scuba Diving Instructor- A day in the life! Hello fellow scuba divers and welcome back to our blog. I know, we haven't really shared much in the way of blogs over the winter season but, funnily enough, life has been pretty hectic, even in the "off-season". 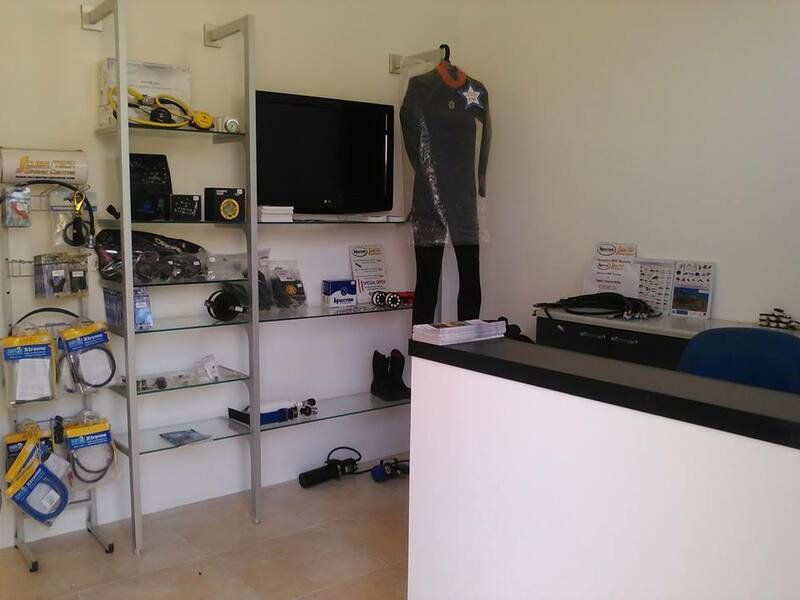 We have renovated the new shop, serviced all the Dive Centre equipment; cylinders, BCDs and wings and regulators, so all are looking good and in excellent working condition for you guys when you come to visit. However, it is time to get back to the nitty gritty and I thought a nice way to start the blog for the Summer Diving Season 2016 would be to give you an insight into the day of a Scuba Diving Instructor at Scuba Tech in Cyprus. We are pretty early risers! As I am sure you can imagine, the sun comes up pretty early in Cyprus and by 5am, it is shining brightly over Protaras, which means it is beaming in through our open windows, waking us up to another bright sunshiney day. It is important to have a proper breakfast, since scuba diving uses so much energy and so first thing is first and we fuel up for the morning. Once we are at the dive centre, the work really begins. Before Divers arrive, we have to check the compressor to make sure it is set for the day, get paperwork organised, answer emails and update Facebook, Twitter and all the other Social Media Portals and ensure all the equipment is dry and back where it is supposed to be, ready for your arrival. The water cooler needs to be switched on, so there is plenty of cold water to hydrate or hot water for teas and coffee. Our day is a cycle of getting paperwork signed, equipment sorted and together, heading out for the dive, diving, coming back to clean and dismantle equipment and re-fill the tanks. We usually make 2-3 dives a day. The diving side can be really varied depending on what we are doing and who we are diving with. Sometimes, they are training dives, so we practice dive skills or they may just be fun dives to get out and dive. Wreck diving, shore diving and getting out onto the Zenobia Wreck are just some of the things that we offer. Sometimes, we may be introducing a diver to the underwater world for the first time and that is a great pleasure. Showing someone our world and seeing the big smiles when they surface, proud of their achievement, is like nothing else! On occasion, we may also make night dives, so we put our torches on charge, wait until the sun goes down and pull out the Dive centre BBQ, so we can have some dinner before we go. The great thing about the diving we do here at Scuba Tech, Cyprus, is the variety. We may do the same dive sites over the course of a week or a year but every one is different because they are with different people doing different things. Once the diving is finished, there is the final task of cleaning up and re-filling the cylinders for the next day of diving. Floors are swept and mopped, tables wiped and equipment locked away to dry overnight. We have long days that are action packed, so it is no surprise that 9 times out of 10, we will be in bed, fast asleep by 10pm. Whatever we do in life, we all have to start somewhere. Diving is one of those sports where you can begin at any age. There are 8 year olds that can make their Bubblemaker, right through to 80 year olds trying Scuba Diving for the very first time. regular basis. As a general rule, diving instructors and those of us with more dive experience try to help those with less experience with patience, advice and assistance when needed. So, if we look after these divers as they are learning to dive, why does the attitude change completely when training the next generation of professionals. I am talking about Dive Masters and Dive Masters in training (DMTs). It seems to be pretty commonplace to treat Dive Masters and DMTs like slaves and general dogs-bodies to be used and abused doing the things that the instructors, office workers, managers etc. don't want to do. Equally, if a piece of equipment is forgotten, a tank isn't quite full or has the wrong mix in it, suddenly there is a scapegoat to blame, even if they aren't trained to fill tanks or mix nitrox. I have seen instructors yelling at their DMTs because they have asked a question when they should know the answer or missed a point on their dive briefings. This attitude then passes to the Dive Master who may become an instructor and treat their DMTs in the exact same way, creating a lot of instructors with bad attitudes towards their Dive Masters. As instructors, it is our responsibility to look after and mentor our Dive Masters so that they are proficient in the water AND able to assist divers with any queries and problems they have. Treating them with respect is just as important as teaching them the physics and skill sets because your attitude will become the accepted standard for them. Yes, sometimes it is necessary for you to leave them washing the dive equipment while you continue instructing but it isn't an excuse for you to pop off, put your feet up and have a coffee. Kit washing can be a great opportunity for unofficial debriefings and chats to help you find out where your DMTs are struggling, what they enjoy and who they are. All these things will help you to find the best way to teach them as an individual and help them become the best Dive Master they can be. Remember, when all is said and done, these divers become a reflection of you and the kind of instructor you are.